Enjoy Our Hotel's Great Location in Abilene, TXCombining the bright spirit of the frontier with the bold culture of the West, Abilene, Texas boasts a community that retains strong ties to its past. 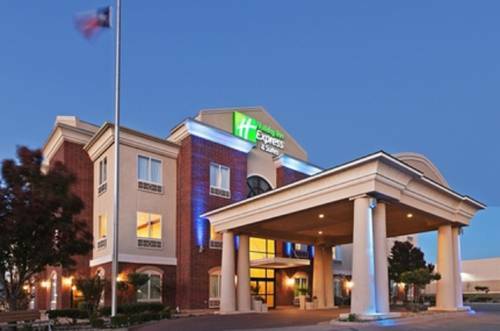 At the Holiday Inn Express Hotel & Suites Abilene, guests love our warm hospitality and down-to-earth attitude. Besides offering great corporate amenities like an on-site Business Center, our Abilene, Texas hotel's facilities have a meeting room that can accommodate up to 25 people. The Taylor County Expo Center and the Abilene Civic Center are nearby, as are Abilene Christian University and Hardin-Simmons University. Dyess Air Force Base also calls Abilene, TX home.Our hotel's location places leisure travelers near Frontier Texas, which promises a fun-filled day for your family. Visitors can catch a performance at the Abilene Civic Center or attend an event at the Taylor County Expo Center. If you want to explore the area's beautiful landscape, head over to Abilene State Park, a favorite attraction in Abilene, Texas. This hotel's facility is proud to provide free high-speed, wireless Internet access throughout the property. Other amenities include an outdoor pool that is open during the summer as well as a Fitness Center. Before starting your day in Abilene, TX, stop by our hotel's complimentary, hot Express Start Breakfast Bar, too. And you'll love our spacious rooms. Make your reservations today to take advantage of our great rates! Our comfortable meeting room is perfect for business meetings, family reunions, and small gatherings. We provide coffee and water at no charge. Diamondback Golf Course is an 18 hole golf course that was built and is operated by 1971 Masters Champion, Charles Coody who resides in Abilene, Texas. Diamondback is open to the public and operated daily.